"Mar Roxas needed to get away from (Aquino’s) shadow." 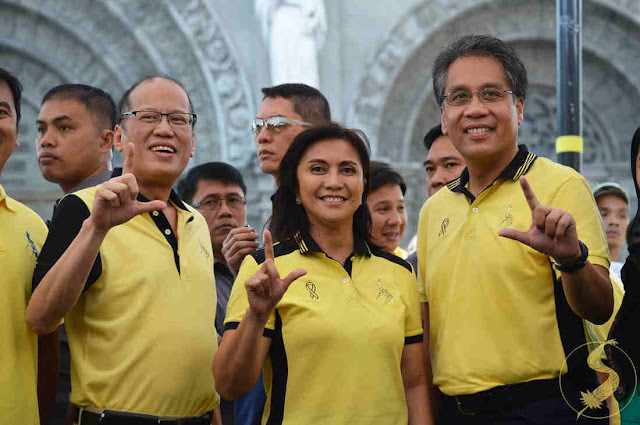 Yellow, after all, is the signature color of the Liberal Party (LP) and President Benigno Aquino III. Today, yellow, or colloquially, “dilawan,” is the catch-all epithet thrown by die-hard supporters of President Duterte at his detractors, Liberal or otherwise. Rumors of a rift between Roxas and Bam Aquino have swirled, owing to a feud that dates back to 2016. This move by Roxas is a signature Roxas move as he is known for taking extreme measures just to get ahead of his opponents. In 2016, Roxas asked Grace Poe to withdraw from the race days before the election and give way for him in an attempt to stop a Duterte presidency. Grace Poe found it ridiculous and did not budge. Poor Roxas.